As you may have heard, we're currently experiencing the tightest housing market and lowest housing inventory we've seen in years. As of January 2018, the U.S. had a 3.6-month supply of homes for sale, meaning that at the pace of sales underway, inventory would deplete in less than four months. A healthy housing market, which offers balanced opportunities to both sellers and buyers, consists of a six-month supply. As a landlord, you’re responsible for providing an accurate legal document when renting your property, but creating a rental agreement that your tenant(s) understand is important, too. It’s also necessary to provide this type of document to protect yourself, your rental, and the tenant(s) you select to occupy your rental home. Here are three tips to consider when preparing your next rental contract and how you could make the process a little smoother for yourself and your tenant(s). As a real estate investor with multiple properties, you may be acting as a landlord managing your properties and keeping up with the day-to-day activities. It can become overwhelming as you acquire additional properties and your task list grows. 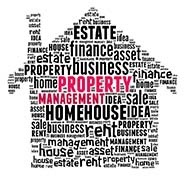 To offset some of these burdensome tasks, you may consider hiring a property management company to manage and take some of the everyday landlord responsibilities off your shoulders. But, you may be asking yourself, where do I begin? Here are a few tips that can help you make an educated decision about hiring the right property management company. As a seasoned real estate investor with multiple properties, a couple of your top concerns might be how to continue growing your portfolio and finding new and creative ways to generate income from your properties. The traditional way of renting out a property to a tenant with a year-long lease or longer is not the only option in today's rental market. Fortunately for many real estate investors, there are alternative and practical ways to generate income from your properties. Here are two creative ways that can help continue to grow your real estate portfolio and generate additional income. Real estate investors have quite a to-do list when it comes to minimizing risk for their investment property portfolio. You must consider things like adequate insurance coverage, estimated home maintenance costs, potential tax implications, and how to find and keep the right tenants for your rental properties. While finding a tenant may be easy for some investors, particularly if you're in a popular location, finding the right tenant is not always so simple. Unfortunately, if you don't find the right tenants, it could cost you substantially. Even if you have potential renters waiting in line to take a peek at your freshly painted rental, being picky pays off. From unpaid rent, expensive maintenance repairs, and the legal fees associated with an eviction, settling on the wrong tenant could cost a landlord big. If done right, real estate investing can be a great source of secondary income and even become your primary source of income. Starting on the right foot and understanding the process is imperative and can save you time and money in the long run. If you are currently a real estate investor or thinking about becoming one, here are five essential tips that every real estate investor should know-no matter where you are in the game. Whether buying or selling commercial real estate, each process is full of its own unique complexities. However, regardless if you're the buyer or seller, considering potential property tax implications early in the process could be beneficial long after the transaction has taken place.